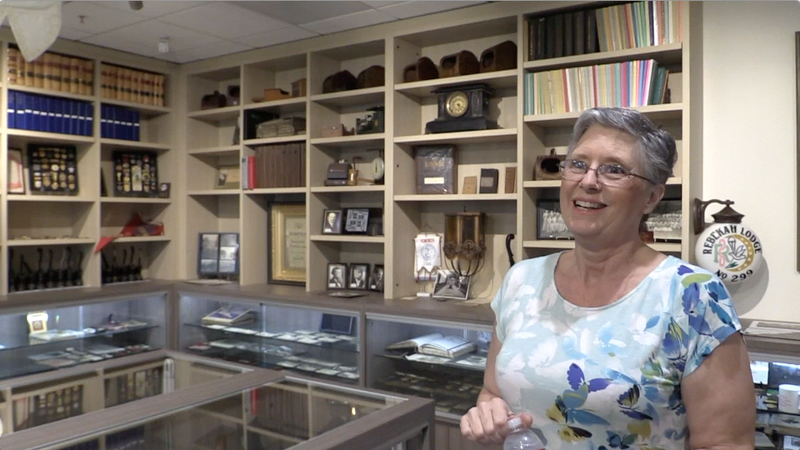 Nancy Johnson takes us on a brief tour of the Grand Lodge of California's museum of California Odd Fellowship. The museum is located in the newly opened Grand Lodge headquarters on Race Street in San Jose, CA. The Grand Lodge museum houses the 2nd largest collection of Odd Fellow artifacts and memorabilia in California. If you or your lodge have historic items that you would like to share, please consider donating them to the Grand Lodge museum. If you are interested in further research involving the history of Odd Fellowship in California, the most extensive collection in California is located in the San Francisco IOOF building. You could spend several days there. The San Francisco museum is managed by PGM Peter Sellars. Many lodge halls throughout the state also maintain their own smaller displays and libraries.